Tiger tank had nine lives but lives on. Tiger 131 is the only working example of a Tiger I tank in the world and will be running around the arena at the Tank Museum in Bovington, Dorset, on April 28. Museum Curator David Willey said a significant amount of work goes into keeping the Tiger running and it is extremely fragile and liable to faults. During the war it took 10 hours of maintenance for every hour the Tiger ran – now it takes the museum staff and engineers an astonishing 200 hours. The Tiger tank was a formidable weapon introduced by the Nazis and the capture of 131 allowed the allies to understand exactly what had been unleashed. 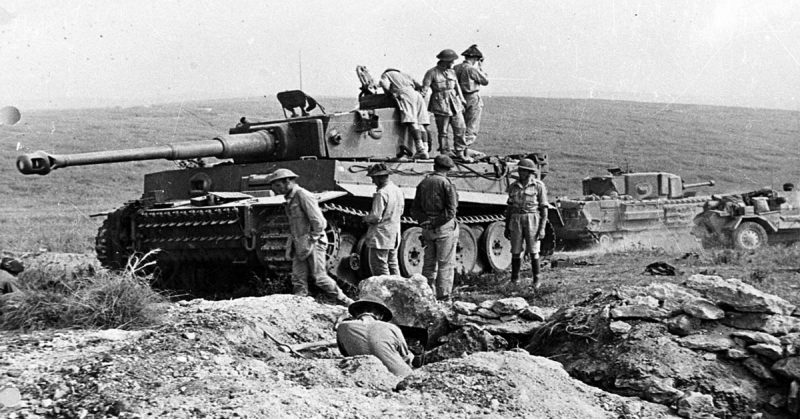 Tiger 131 was captured 75 years ago when it was struck by a Churchill tank with a lucky shot that jammed its turret in the Tunisian desert in 1943 – prompting its crew to flee. Such was its importance that Prime Minister Winston Churchill and King George VI flew to North Africa to be pictured with it. The Tiger was taken at a place called Gueriat el Atach during an attack there by 2nd Battalion The Sherwood Foresters on 24 April. It arrived at the Tank Museum in 1951 and in 1987 staff decided to restore it to running order. A decade was spent overhauling the machine and in 1998 a £96,000 grant from the Heritage Lottery Fund helped complete the task. In 2001 it was thought the job was completed, but the engine blew up and it finally got going in 2003. However, the amount of work required to keep this vintage machine running is extraordinary. David Willey said: “To have this tank working after 75 years is testament to the skill, knowledge and dedication of our staff. “We couldn’t have done any of this without the support of the Heritage Lottery Fund, whose support has enabled tens of thousands of people to see this rare symbol of the Second World War in action. “For the public to be able to see and hear this tank operating is really remarkable. Whenever we run the tank it attracts huge numbers. “But for a lucky shot that jammed in the turret during the campaign in the north African desert it wouldn’t be here. “This 75th anniversary is important, not least because the number of veterans who might have seen one of these in action is now dwindling to a very small number. “It is pleasing however that many young people are interested and want to learn about the war. To book tickets for Tiger Day call the museum or buy online.